← Watt are you talking about? 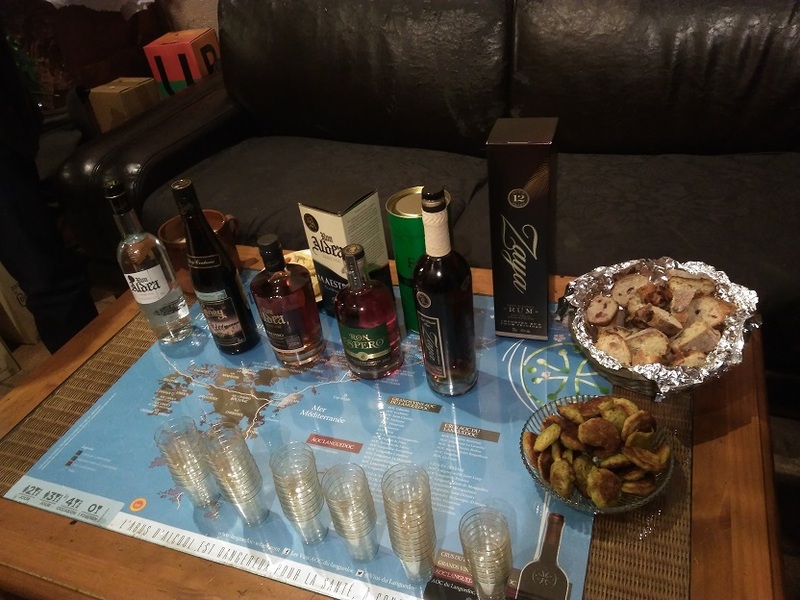 Did you say rum tasting? When you live in the middle of what we think of as “wine country” it’s not surprising that there are at least a dozen shops in town devoted to that one product. Every supermarket has aisles and aisles of bottles and boxes of wine and even the tiniest inner-city convenience store devotes a full floor-to-ceiling area to red, white, rosé, and sparkling. 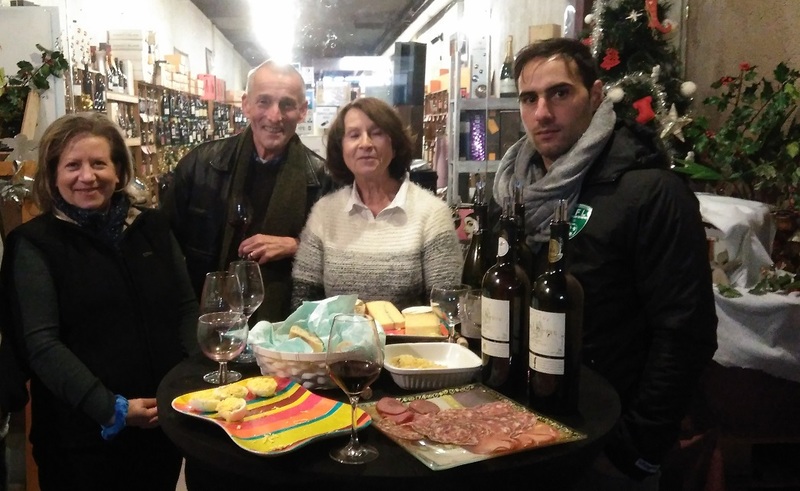 With that in mind, it surprised us to hear our favorite wine shop owner invite us to attend a rum tasting that she was hosting later in the month. One of the advantages of being able to shop in small stores is that we often get to deal with the owner and that’s definitely the case with Christine whose storefront looks like a cave with lots of delights inside. We’ve seen her at wine exhibitions in town, sampling at will since she stocks only what she has personally tried and can recommend. Couple that with her specific recommendations depending upon the food to be served or the occasion to be celebrated and you can understand why we return. Initially we didn’t even realize that she sold spirits so this particular event was a great introduction. 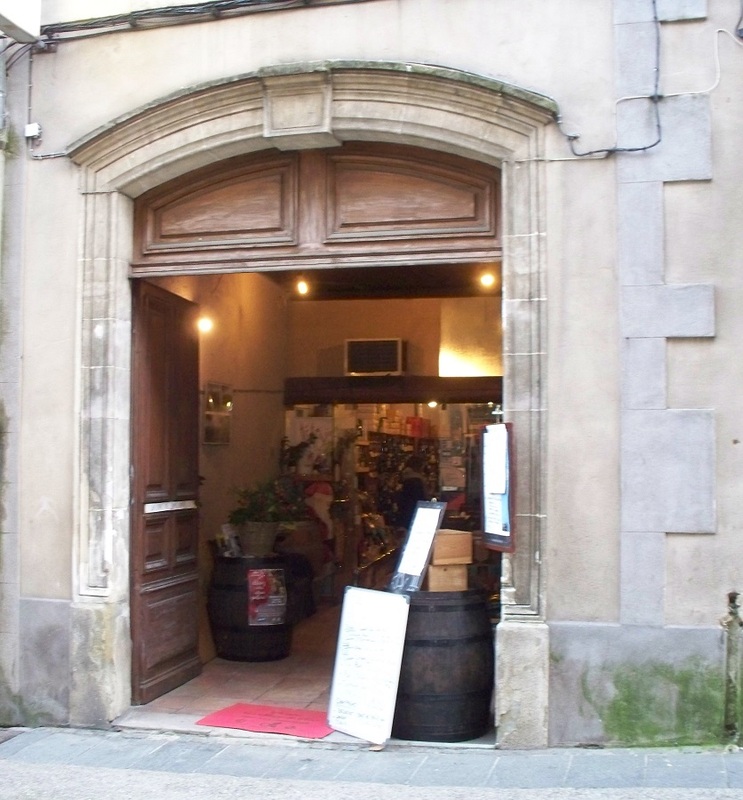 The entrance to “the cave” is lined with comfortable sofas and large oak barrels so it served as the ideal setting for an hour of dégustation. The presenter, a knowledgeable distributor of cognac, explained that his company wanted to expand into a complementary market and presented us with a selection of 5 rums from the Caribbean and Spain, all intended for sipping. These were definitely not going to be mixed with cola or slushed in a blender for your pina colada. I knew that rhum made on islands colonized by the French tasted very different from those distilled into what we’ve seen advertised here as “British rum” which is what we were used to drinking from Puerto Rico, for example. The French recipe uses sugar cane juice directly from the plant while the more familiar version (to us, anyway) is made from the molasses that’s left over after that same juice has been boiled for its sugar. Amazing what you can learn at a liquor store. One of our neighbors says that the French never have an alcoholic beverage without something to eat with it. Following that tradition, the shop owner had a dozen different homemade appetizers to accompany the rum samples. Given that these were true tasting-sized drink portions, there was no danger of overindulgence, but we still enjoyed every bite of the warmed or chilled snacks. What’s on for next time? Champagne tastings. We’ve already made our reservation! Posted on January 11, 2017, in Life in France and tagged Americans in Carcassonne, Community, Life in France, Wine. Bookmark the permalink. 3 Comments. So, did you find some you like? Maybe you should have asked how many of them did we try then buy? We completely blew through the liquor/wine budget in December because of the different tastings and festivals. It’s all about supporting the local economy, right?